In an earlier post, I highlighted how MittRomney.com did not have a comprehensive explanation of the Governor's proposed tax agenda. Well, now it does, so we can evaluate it more fully. If you happen to be in the 47% of people who now, as if there was any doubt before, are definitely not voting for Romney, then read feel free to skim this and find something better to do. But if you are still on the fence, lets press on. "The best course in the near term is to overhaul and to dramatically simplify the current tax code, eliminate taxes on savings for the middle class, and recognize that because we tax investment at both the corporate and individual level, we should align our combined rates with those of competing nations. Lower taxes and a simpler tax code will help families and create jobs." Why the need for "no apology," I'm not sure. Sorry to the IRS employees who will be out of work in a new, "simpler" tax environment? I doubt it. 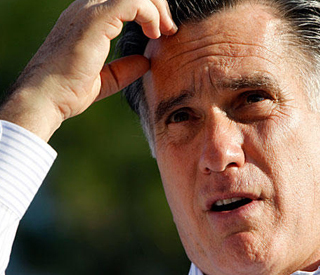 Romney's plan is the basic republican platform of late: cut income taxes, kill the death tax!, make us competitive with other nations so we quit losing corporate tax dollars to overseas havens, simplify the code. Ok, sure. Built in are jabs at the President's system: that we don't need to raise taxes if we cut government, and he will cut spending too. I don't have an answer for raising/lowering taxes, except I am anti-national deficit, and we need to raise money somehow. If that means cutting government spending, great. If that means paying more taxes, fine. Both, so be it. I hope whoever gets elected knows what they are doing, because we are in trouble. Taking tax increases off the table entirely, however, I think is very narrow minded thinking. Mitt wants to repeal the AMT, and I agree. Mainly because no one understands the AMT. "Government should not tax the same income over and over again. The federal estate tax, also known as the "death tax," does exactly that by taxing the wealth that Americans have been able to accumulate after already paying taxes throughout their working lives. This tax also creates a series of perverse incentives that encourages the most complicated and convoluted tax-avoidance schemes at tremendous cost to all involved. Finally, it can have catastrophic effects when a small family-owned business, in the course of passing to the next generation, creates tax liabilities that the family cannot meet without breaking up the business itself. " You know who pays the death tax? Next to no one. Yes, it can hurt the small family business, or the rancher/farmer. But a simple call to me (or other estate planner who is worth their salt) can fix that, and it has nothing to do with tax-avoidance schemes with tremendous costs. You know what are tax avoidance schemes, with tremendous costs? Stowing money in Luxembourg, or the Cayman Islands. Don't get me wrong, under the current system, in today's world, I'm all about offshore tax havens. If I had $30 million plus, you bet I would park some of it somewhere else, just in case. But, you also have to disclose this stuff, and there are ways to do it right. Nothing illegal there. However, if you have $100 million plus, which Romney passes by without flinching, no estate tax means your family are kings for generations. No one can touch you, because you have all the money. If you want to know why I believe in the estate tax, I'll send you the paper I wrote about it in law school. Email me. But here is the basic point: If there is no estate tax, the rich get richer, and the gap between the classes never gets closer. Further, it is why so many of the mega-rich donate to charity: they want to choose where the money goes instead of just giving it to the government, and its a tax write off. Starting to make sense? Sure, Warren Buffett has pledged billions to the Gates Foundation, but has he written the check yet? No. Why? I have a sinking suspicion it involves the fact that if there is no estate tax, the Buffett's could buy most of Eastern Europe, build a big wall, and live till the end of time. The estate tax chops it in half, or more, at every generation. Not enough to bankrupt you, but enough to spread it around. But that's not fair! That's socialism/communism/somethingism that is NOT capitalism! Maybe, but I strongly feel, until someone convinces me otherwise, that an estate tax is a good thing, at a reasonable, say $10 million, level. Cut rates, make us competitive again, quit losing jobs overseas. Romney does have an interesting point, that the US is still on a "worldwide" corporate tax system, which causes re-patriated (money earned abroad back into the US) to pay a secondary tax above wherever it was taxed originally, and this is why some companies are parking their headquarters overseas. That way, the money never has to go back to the US, and pay the tax penalty. I agree, this needs to be fixed. We will see if he can get it done. But "corporations are people, my friend"! Yes, true. But they are not the people most of us see in the mirror. They are Bain Capital, they are Apple, the are Sun Microsystems. At the end of Romney's website pamphlet, Former Sun Microsystems CEO and founder Scott McNealy attempts to defend Romney's statement, and makes good points. Yes, we need corporations to keep jobs in the US, and to do that, tax rates must be competitive. But lets get one thing straight: corporations pay a pittance of our national tax revenue, and take the lion's share of the profits. Where? To people, indeed, but only a few people. Shareholders? Not really, its the founders and top executives, and that is where the profits stay. And stay, and stay some more, and even when an executive retires or leaves Google for Apple, they still get sucked out of shareholder's hands in the form of golden parachutes. Read the financial disclosures for the big oil companies, or whatever blue chip stock you might own: see how many of the highest compensated individuals are not on the payroll anymore. It's scary. How many workers is a CEO worth? 2? 10? 500? Remember dividends? Yeah, me either. Where do all those profits go? "Investments, infrastructure." Not buying that. How many dividends has Apple issued? Exactly 1, for the last 17 years. Either way, executive compensation seems a little out of whack. Something to revisit at a later date. I don't love it, but it has some minor points that shine. The code does need simplification. Ditch the AMT. Romney is a business man, so maybe he would be good for our economy, and making America attractive to corporations again. However, straight out refusing to raise taxes is silly. I hope we do not have to, but we might, and he needs to accept that. Also, repealing the estate tax is not the solution, per se. If you kill that revenue stream and the societal benefits it brings, you better have a good plan to replace them. Overall, I give Romney's plan a C, for a small amount of good and new ideas, and a large dose of the same old Republican rhetoric that got us into this mess in the first place.